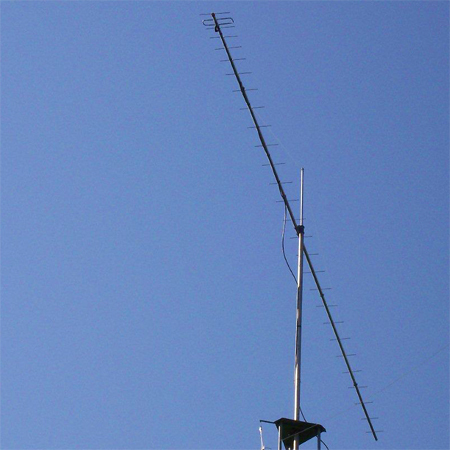 'Just a short note to let you know of my success with my new 70cm 28el LFA. I originally got on 70cm to join the long running 70cm Wednesday night net originating from Charlotte, North Carolina about 250km north of me. Last night was the second time I was ready to check into the net. The first time was not too successful since the band was very poor and the net coordinator was not able to be QRO. However, last night was a different story. I was able to work about 5 or 6 stations, mostly in the Charlotte area and a few stations south of me in Georgia. 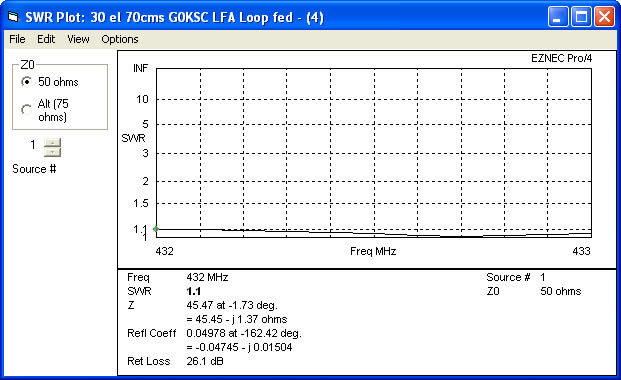 Also was just barely able to work (cw) one station in Florida, about455km from my station. 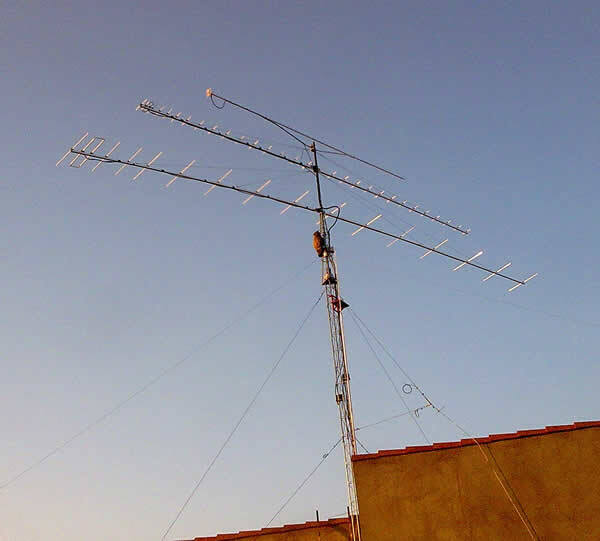 He was running a single 25 ele antenna at 12M and 50W, with mast mtd preamp. I am only running 25W, no preamp and flex coax to 1/2" hardline down the tower and into the shack. 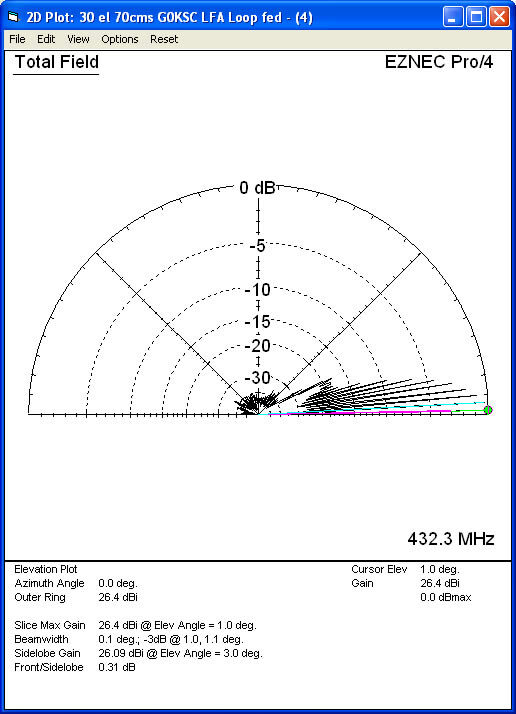 And one last note, the members of the net said conditions were "flat" last night. I don't have enough experience on 70cm to know 'poor' from 'average' condx. 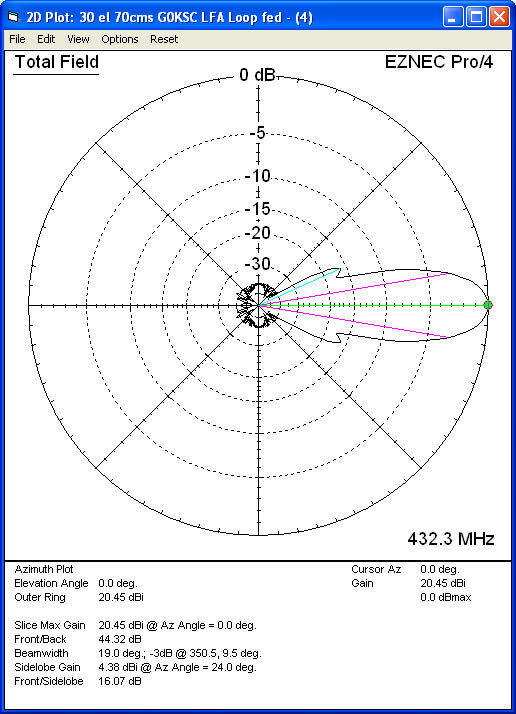 Considering I have a TS811A which is a 20 year old rig, I'd attribute all my success last night to Justin's antenna design. But help will be on the way as I add a mast mounted preamp and 350W amp later this year.